Women are designed to go through several transformations in their lifetimes that radically change their experience of life and how others experience them. 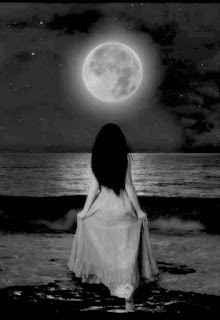 The first major transformation is when the Maiden enters the realm of the Mother and begins her first blood and her courtship with the moon. A very integral component to this transition is the energetic separation between mother and daughter at this time. The daughter will, from this point forward, be responsible for creating HERstory as a fertile woman in the world - a path that only she may walk, and her mother may not join. 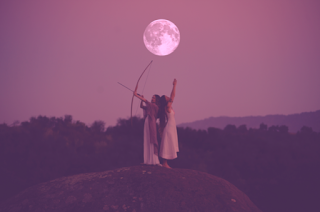 So when coordinating the rite-of-passage / moon ritual for your daughter you may want to include some time devoted to making the distinction between the mother/daughter energy field and what that change means for your daughter and for yourself. Have the supporting sisters of your circle symbolically tie one of your and your daughter's hands together (where both wrists are tied off making complete string bracelets for each that are also attached) and as part of your ceremony have a sister cut the string between both bracelets while saying "As love binds you, so love frees you." In ceremony bind the mother's eyes with a blindfold and have the daughter do a dance the mother can not see. Have the daughter plant a tree alone that is hers to nourish and cultivate. Perhaps she can pour her monthly blood on it as it grows. 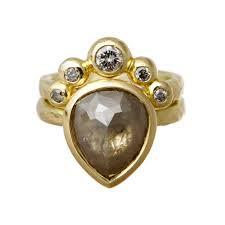 Give the daughter a sacred ring that all the sisters pick out that symbolizes her relationship with herself and the beginning of her path. This distinction can be helpful for both mother and daughter as the two have been entangled from birth at such a deep level. Bringing awareness to the new paradigm that the First Moon brings may ease some of the pain of the change on both sides.